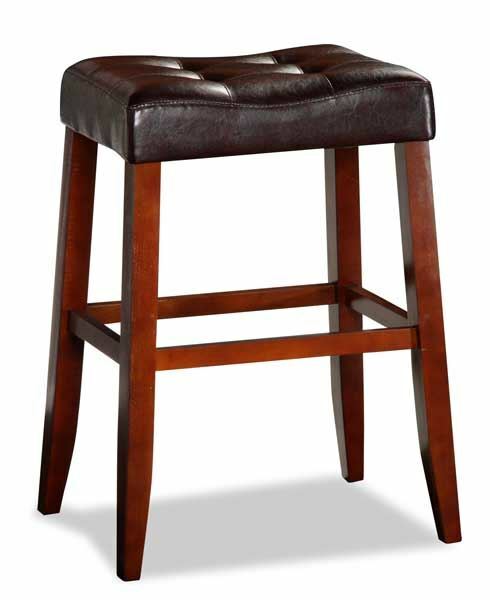 The Aaron Portman 29" Brown Barstool by Crown Mark has a modern look that expertly blends function and style. 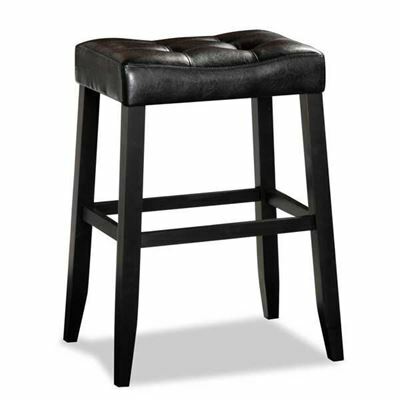 This 29" bar height barstool features a rich cherry finish, tapered legs, and a comfortable saddle seat upholstered with stylish button-tufted, padded brown polyurethane. 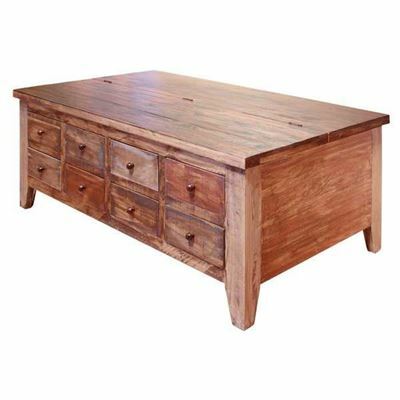 Available in 24" counter height and 29" bar height. 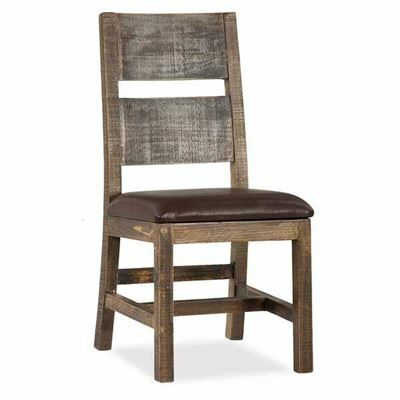 Also available in black polyurethane with black finish.